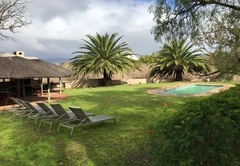 Manley Wine Lodge is one of the Tulbagh guest houses and provides accommodation in 9 guest rooms for tourists visiting the Cape Winelands region. 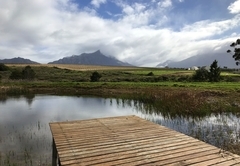 Manley Wine Lodge is located in the history rich area Tulbagh; just over an hour’s drive from Cape Town. 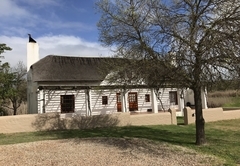 The main thatched Manor House is distinctive in its design as it reflects the French Huguenot homes of the late 19th century, unlike most of the buildings in Tulbagh, which follow the classic Cape Dutch design. 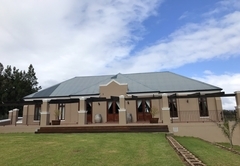 Manley is an award winning wine farm offering guests the opportunity to enjoy fine wines, eat well and enjoy a well deserved rest. A short walk across the lawns from the thatched Manor House reception and dining areas we have seven large luxury double / twin rooms and two luxury cottages. The rooms are arranged around a shaded courtyard adjacent to the pool. 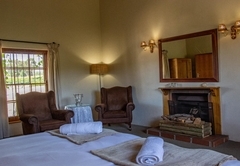 Rooms and cottages have a private entrance and are equipped a TV with DStv, air-conditioning, tea / coffee making facilities and Wi-Fi access. 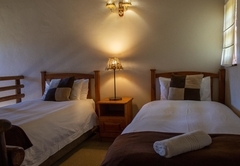 The luxury cottages are furnished with a King-size bed downstairs and two single beds in the loft area. 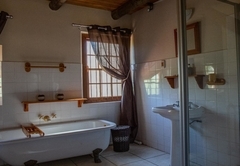 The cottages have an en-suite bathroom with a bath and a shower. Rooms are equipped with the usual amenities. This room sleeps two guests in a King-size bed. 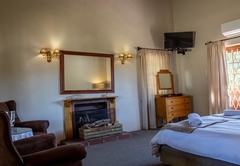 The room has an en-suite bathroom with a bath and shower. 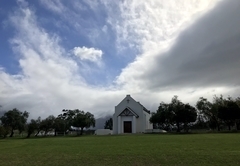 There are various arts and crafts markets located in the historic Church Street in Tulbagh. Restaurants in the area ensure that all guests’ dietary needs are met. Women can enjoy beauty and spa treatments at the Vindoux Wellness Centre. Response timeManley Wine Lodge typically responds to requests in 5-10 minutes.